An open beta has come out of the IBM Data Server .NET provider for .NET Framework 4.0 as well as DB2 Add-ins for Visual Studio 2010. 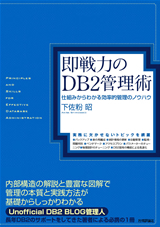 The Windows build of the ibm_db2 extension for PHP is currently available for download at the IBM Database Wiki. The IBM Data Server Provider for .NET enables application developers to take advantage of the Microsoft Entity Framework and LINQ. You can easily develop data access .NET applications using one of the IBM data servers (DB2®, Informix Dynamic Server, or U2), the Microsoft ADO.NET Entity Framework, and LINQ. With this release, many database providers have pledged support for the Entity Framework. To date, 12 provider writers are developing an Entity Framework-enabled version of their offerings that are scheduled to be made publicly available in the coming months. The short answer is yes. Microsoft has created the Entity Framework, which can be pictures as a "generic" ADO.NET provider. The Entiry Framework has been fully LINQ enabled by Microsoft, thus applications can use LINQ to Entities to access all servers that support the Entity Framework. Microsoft has indicated the Entity Framework will be a full part of FW 3.5 in SP1, and is currently in beta.